Special thanks to VIP member Jeffrey Marshall for asking a great question about how to make bacon in our Private VIP Group Forum and as always, we have expert backyard and professional pitmasters from all across the nation chiming in and sharing their tips and techniques. 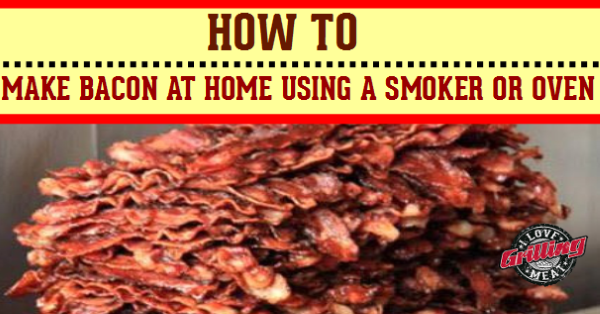 Here’s a quick and easy recipe I shared in the group on how to make bacon at home using a smoker or your oven if you don’t have a smoker. I like to get a 4-5 pound pork belly (the thicker the better). Pork belly is not typically found in most grocery stores so you may want to check your local butcher shops and/or Asian markets which usually provide this fatty, boneless cut of pork. *Honey or maple syrup may be substituted for brown sugar, although the rub mix will clump, however that’s fine. Also explore using honey powder as used in this dry rub recipe. 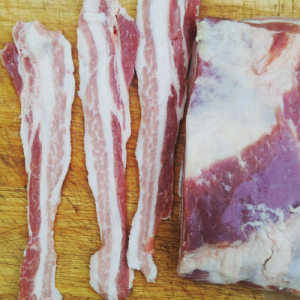 Bacon can also be tweaked by adding other spices such as thyme, juniper berries, garlic or bay leaves, however I suggest you start with the basic ingredients above and then experiment with additional ingredients as you gain more experience. **Pink curing salt #1 is probably the most “exotic” ingredient used to make bacon, also called prague powder. This blend of table salt and nitrite is used to cure meats and gives bacon its distinctive color and flavor. It’s relatively inexpensive and easily found in your local grocery store or online here. Learn the difference between pink curing salt #1 & #2 here. Rub your mixed ingredients vigorously into your 4-5 pound pork belly on all sides. Place the pork belly and any remaining rub in a large Ziploc bag and seal, squeezing air from bag. Once in the bag, massage the pork belly to further work in the rub and then transfer to the refrigerator. Keep refrigerated for at least 7 days, massaging once again after 3-4 days. 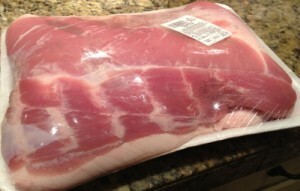 After 7 days remove your pork belly from the refrigerator and Ziploc bag and rinse thoroughly under cold water. Pat your pork belly dry with paper towels and place in your smoker at a temperature of 200F until you hit an internal temperature of 150F, usually 1.5-3 hours. Do yourself a favor and get yourself a meat probe thermometer to save you the hassle of guess work. I like to use hickory or maple wood to smoke my bellies. If you don’t have a smoker you can use your oven however the bacon comes out much better in a smoker. Set your pork belly on a wire rack resting on a baking sheet and place in a 200F oven until an internal temperature of 150F is reached, around 1.5-3 hours. Once removed from smoker, allow the bacon to cool and then slice into thin cuts against the grain. 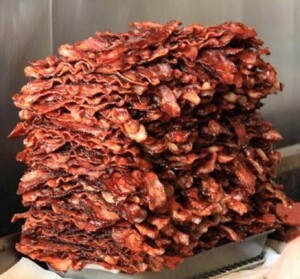 Bacon can be fried immediately or stored in an airtight container in the refrigerator for up to two weeks or in the freezer for several months. Bacon Wrapped Stuffed Jalapenos Recipe Smoked bacon wrapped stuffed jalapenos recipe… take some spicy green things, stuff them, wrap them in bacon, smoke them, and enjoy life! 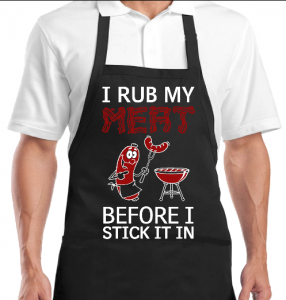 Based in Missouri, Danny's expertise is constantly an inspiration to us all here at I Love Grilling Meat. I gotta try this, but I’d really like to find a nitrate free recipe. Dang that looks good. 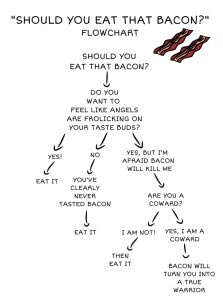 Bacon makes everything better. its close but its for the ones who want a taste of home.